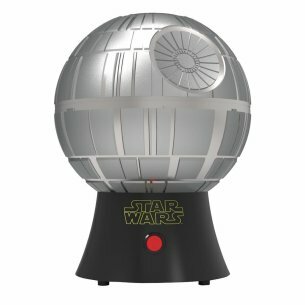 In the Star Wars movies, the Death Star has enough power to destroy an entire planet. 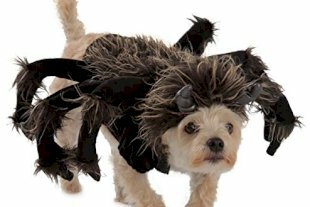 We promise our version won't even destroy your taste buds! 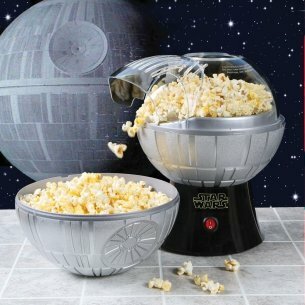 The Death Star popcorn maker is a perfect choice for any Star Wars fan. 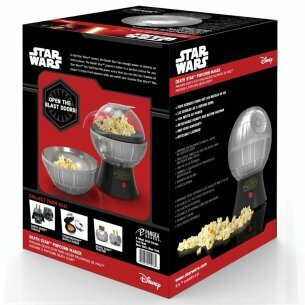 You’ll feel the power every time you use this fun themed air popper to enjoy fresh popcorn while you watch your favorite Star Wars film. 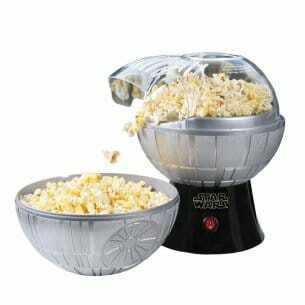 This easy to clean popcorn maker pops popcorn about as fast as a microwave. Just follow the easy instructions to make a delicious snack! 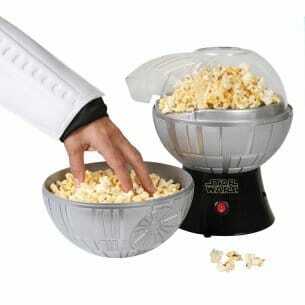 Another benefit to skipping microwave popcorn: the endless possibilities! Create your own unique flavors and blends like caramel corn with nuts or a spicy popcorn snack mix. 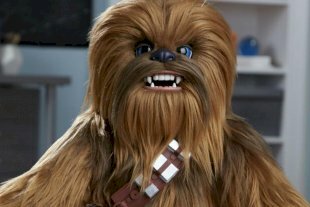 Best of all, you'll be able to demonstrate your true fandom of Star Wars.